SEER (Seasonal Energy Efficiency Ratio) rates the energy efficiency of your cooling equipment. The higher the SEER rating, the more efficiently your unit operates, saving you money on utility bills. choose Armstrong Air PRPGE and PRPDF packaged units. 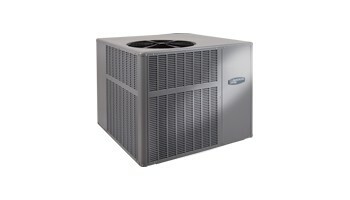 They’re a smart choice for reliable heating and cooling, with the optional flexibility of dual-fuel operation. Dual-fuel operation selects the most efficient heating option – the electric heat pump for milder days or gas heat when temperatures drop. The PRPGE and PRPDF both offer a compact design that’s quick to install, along with energy ratings of 14.0 SEER, 81% AFUE and 8.0 HSPF. That makes them the consistent choice of HVAC professionals everywhere. Armstrong Air’s proprietary heat transfer system. The coil features rifled tubing to enhance refrigerant flow, while lanced coil fins increase surface contact between metal and air. They combine for maximum heat transfer and efficiency.The combination of both high- and low-pressure switches gives additional reliability to each unit. The high-pressure switch prevents operation in the event that refrigerant pressures exceed safe levels, protecting the compressor. In the event that your unit does not have enough refrigerant, the low-pressure switch prevents the unit from drawing in moisture and other contaminants while operating A time-proven design chosen for its consistent performance, incredible durability and long operating life, the single-stage scroll compressor works hard year after year.Each compressor is constructed with rubber pads to reduce vibration during operation. Less vibration lowers sound, so your outdoor entertaining is not interrupted.Our unique Tri-Diamond design increases the heat exchanger’s surface area, making heat transfer more efficient. This allows for a smaller heat exchanger that requires less energy to operate.By tilting the heat exchanger, the Tri-Diamond design eliminates issues caused by condensation developed during the cooling season. As a result, these units start up when they’re supposed to, year after yearEven during the off-season, Armstrong Air packaged units periodically cycle on the heating components. This creates an inhospitable environment for birds, rodents and insects, keeping them from nesting inside.Your Armstrong Air packaged unit’s electronic control system continuously monitors operation and generates LED codes to help technicians solve problems faster and more accurately The PRPGE and PRPDF are engineered with quality materials, and built to last. The unique Tri-Diamond Heat Exchanger offers greater surface area and a smaller size for more efficient and reliable heating.The PRPGE and PRPDF offer efficiency ratings of 14.0 SEER, 81% AFUE and 8.0 HSPF, meaning consistent energy savings through every season. The flexibility of dual-fuel operation in the PRPDF means your unit can heat with either gas or electricity, using whichever is most cost-efficient for the weather.Armstrong Air’s dedication to a better product is backed by a Limited Lifetime Warranty on the aluminized steel heat exchanger and a 10-Year Limited Warranty on parts.